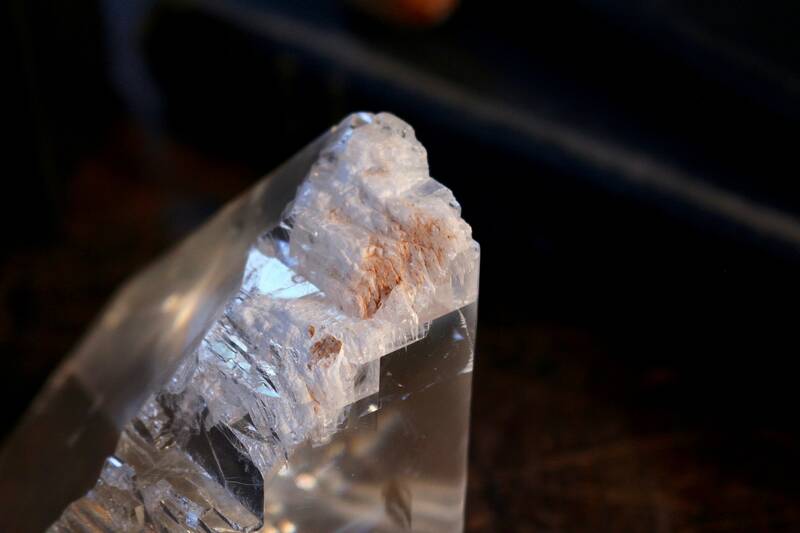 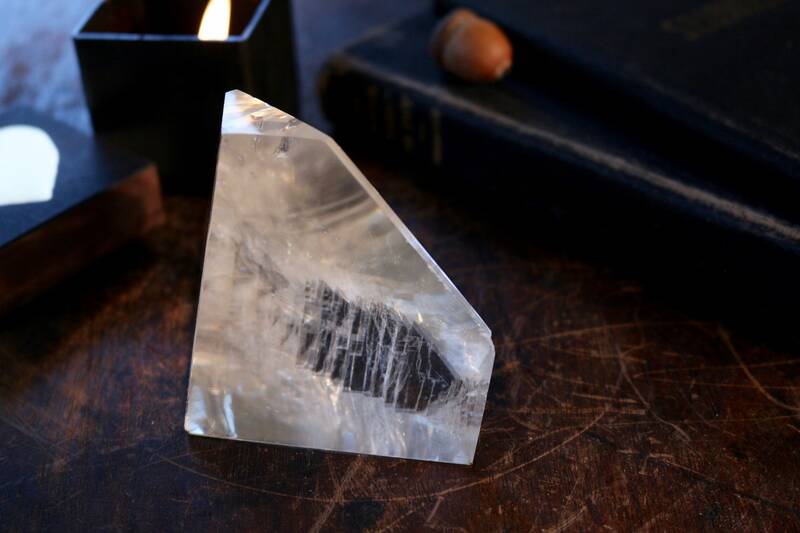 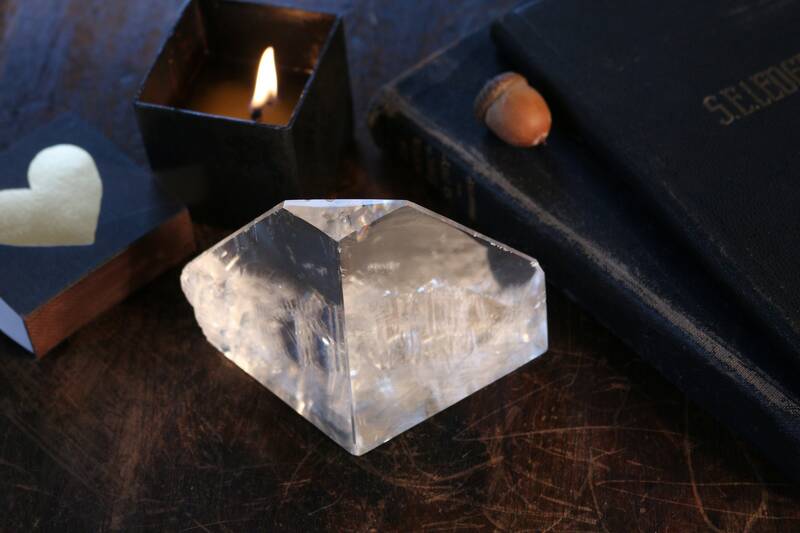 A piece of standing, fully polished, Grade AAA Optical Calcite Chunk, also referred to as "Iceland Spar that is clear as glass and filled with unbelievable rainbow prisms. 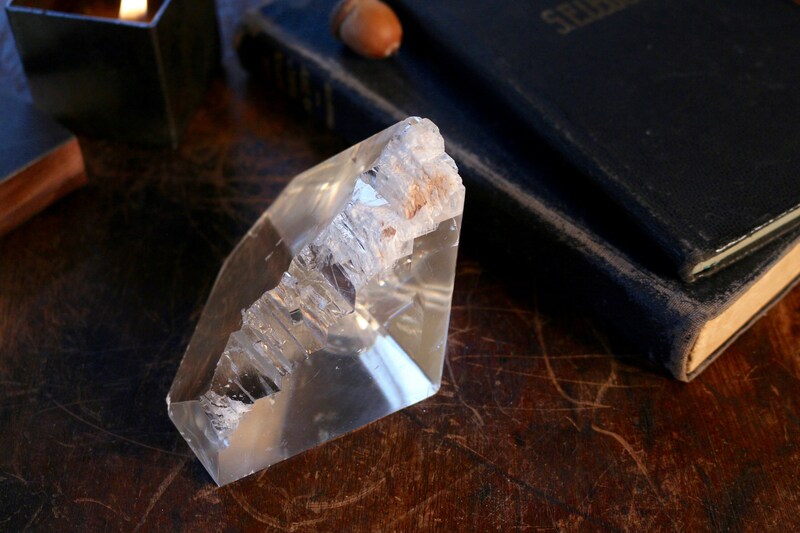 This piece is so reminiscent of an iceberg whether held up to a light or sitting on a shelf. 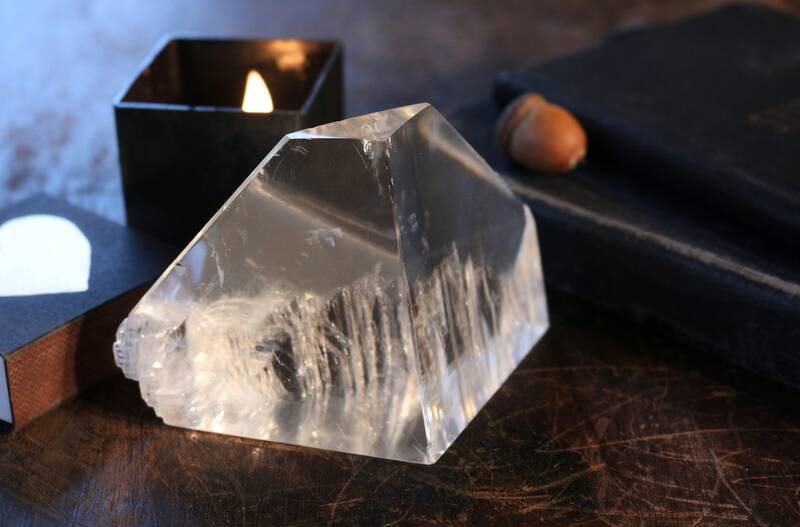 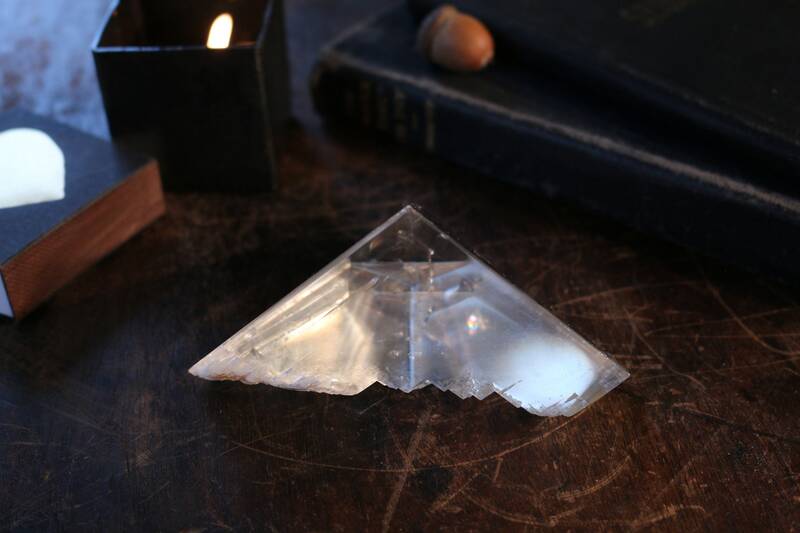 This piece of Optical Calcite was mined truly fit the bill of Iceland Spar which is nothing more than transparent, colorless to lightly colored, the rhombohedral variety of Calcite. 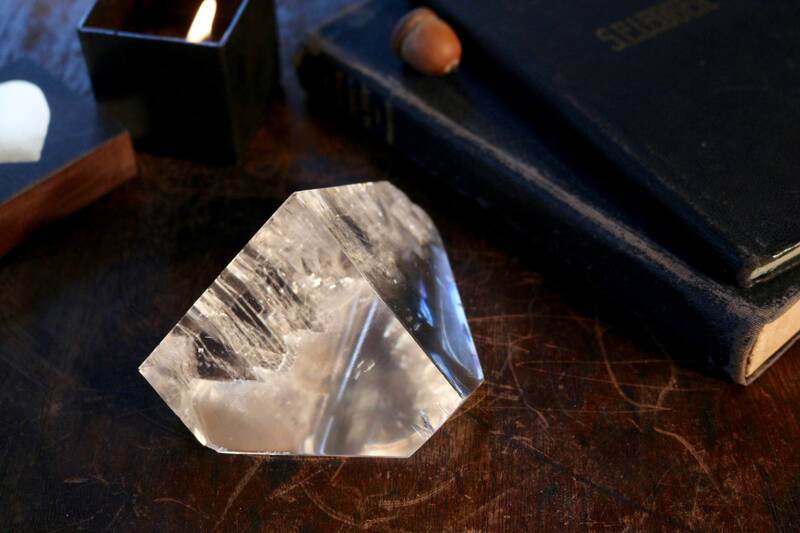 True Iceland Spar is also especially noted for its double refraction abilities. 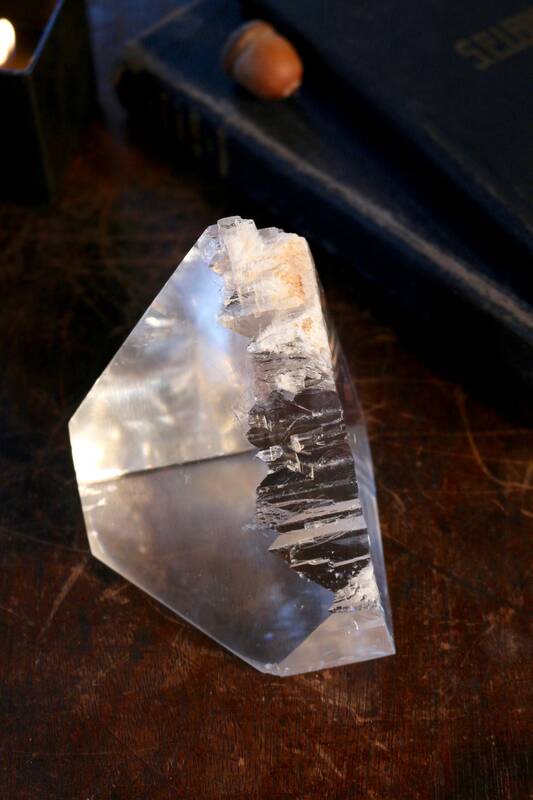 For more information regarding Optical Calcite/Iceland Spar, please scroll down to the "MOJO INFO" Section.